360 Inspection Services proudly serves clients in Burlington, Ontario offering our exclusive home inspection services, infrared (IR) thermal imaging and mold & indoor air quality testing services to provide you with one of the most comprehensive, fully customize-able home inspection packages available on the market! Call today to book your home inspection services, infrared (IR) thermal imaging and mold & indoor air quality testing in Burlington, Ontario. Our certified, professional home inspection experts will respond quickly and have your customized pre-purchase, pre-listing, home warranty or condominium inspection services booked in no time! Buying a Home in Burlington? Selling Your Home in Burlington? 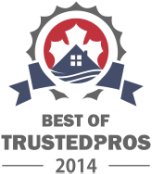 360 Inspection Services is dedicated to delivering the best home inspection services throughout Burlington, Ontario.